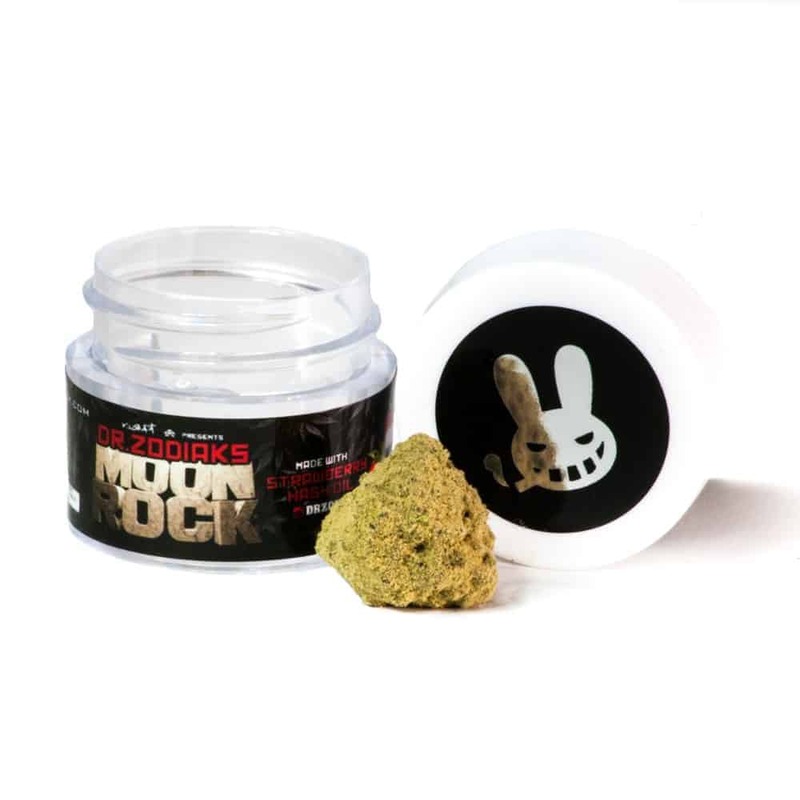 21 reviews for "Moonrocks – Strawberry"
Smells just like strawberries, Really potent, Great smoke, Not too oozy there was lots of kief to keep it burning nice. What’s not to like? This is a very intense smoke similar to hash, but with the delicious taste of strawberries. Smells amazing, and very relaxing. First time trying and loving it ! Why are the pre rolled ones like half the price for same amount but already rolled ? worth it as a special treat now and then? Absolutely! I’m surprised in the potency of it. The only thing I had an issue with the the flavouring. For some reason I kept getting that fabric softener taste. I added with is mònrick in a joint the ghost train haze. I am currently feeling relaxed and chilled and able to sleep. Great for working at a fishing lodge all summer, ahhh day 65 nom stop working pain relief working like a charm. These magical moonrocks are worth the pretty pennies. A little goes a long way. I got into a sticky sweet mess with these and took an hour and a half round trip to the moon in my space shuttle. Totally forgot about my hot chocolate. Moonrocks from GB are always fantastic! Great flavour, leaves you feeling very good.